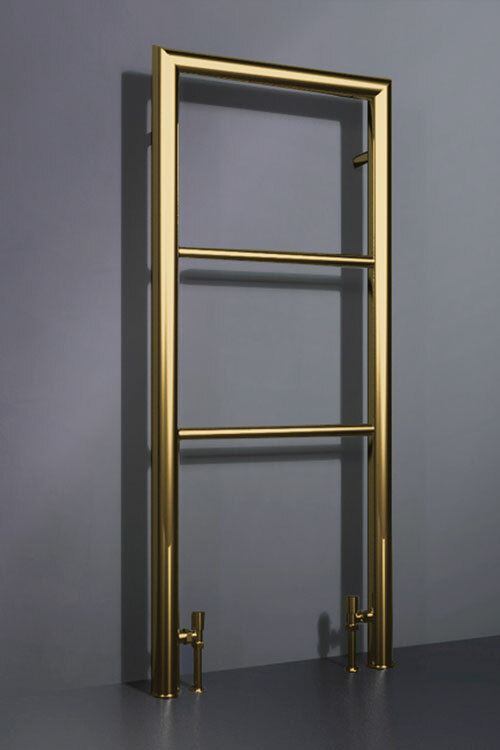 This gold heated towel rail is design for floor mounting. Available in two standard sizes, with bespoke options available on request. 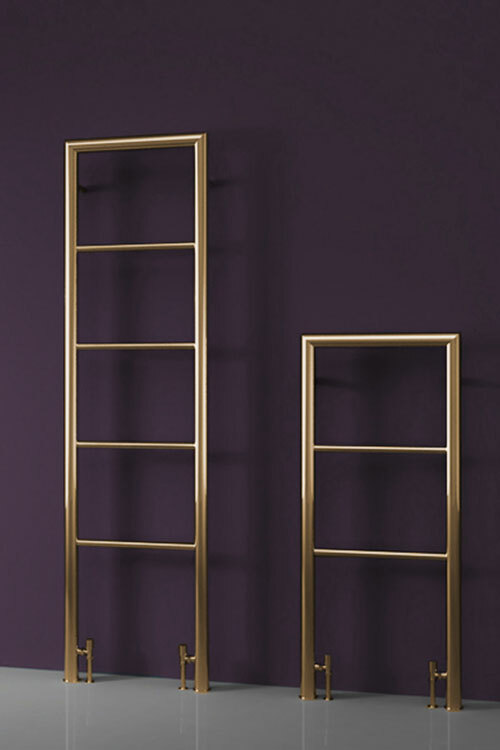 Each gold radiator has a high quality stainless steel body with a protected gold finish for superior durability and longevity. This exclusive towel rail design has 50mm outer tubes and 25mm internal horizontal bars for stylish, modern look. Available in options for central heating, dual fuel, or electric only. Electric options have hidden elements for a seamless design. 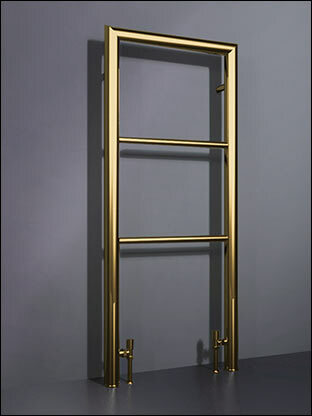 This gold towel warmer is manufactured to special order. 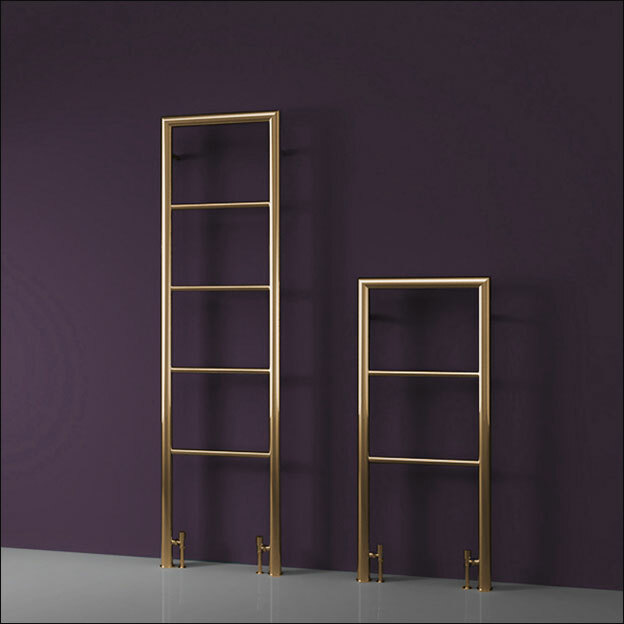 • Floor standing towel rail.